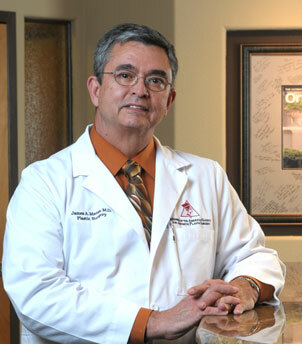 Orlando plastic surgeon James Matas, MD offers comprehensive aesthetic services – both surgical and non-surgical, a medical spa featuring pharmaceutical-grade skin care, and an accredited surgical facility with M.D. anesthesia. Our signature style of care is warm and welcoming…our patients are like extended family. On our comprehensive website, we highlight the outstanding credentials of Dr. Matas, Medical Director and owner of the Centre, and feature a portfolio of his work. Facts about each procedure we perform are presented and divided by body region. You can also sign up to receive future newsletters or request a complimentary consultation. I wanted to take a minute to express my sincere appreciation for the great surgery you did for me. I cannot express to you the confidence I now have in my appearance - the results were far better than I ever imagined. I will continue to recommend you as the expert in plastic surgery. You have me as a lifetime patient and I look forward to other procedures down the road. I elected to undergo breast augmentation after several consultations with surgeons throughout Florida. It is clear that I made the right choice with your facility! Everyone made sure I received the best individual attention and showed concern for my hopes and listened to my questions. I sincerely appreciate your time and expertise, and the new look I am enjoying!